I recently traveled to Cuba with friends on a People to People mission, and was delighted and surprised by so many aspects about the country. This is not a political article, just one of impressions. I was prepared for sights like old-fashioned cars occupying the roads, but was totally unprepared for how the sight of them, well-maintained and gleaming, caused childhood memories of Sunday drives with my family to float through my head. 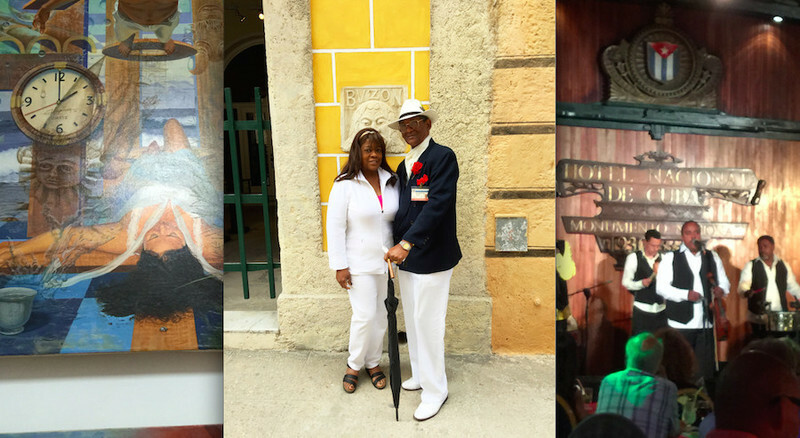 I love Cuban music and was greeted with it everywhere: on the streets, in the clubs, at the hotels, in restaurants. Listening to the pulse of the rhythmic music and watching the men and women step in unison to the salsa beat filled me with joy. I attended a classical concert in a church where one man told me his daughter had been attending since she was six months old. I was impressed by the ubiquity of art, not just in the museums, but in the plazas and at the classes for schoolchildren and in the shops along narrow streets. 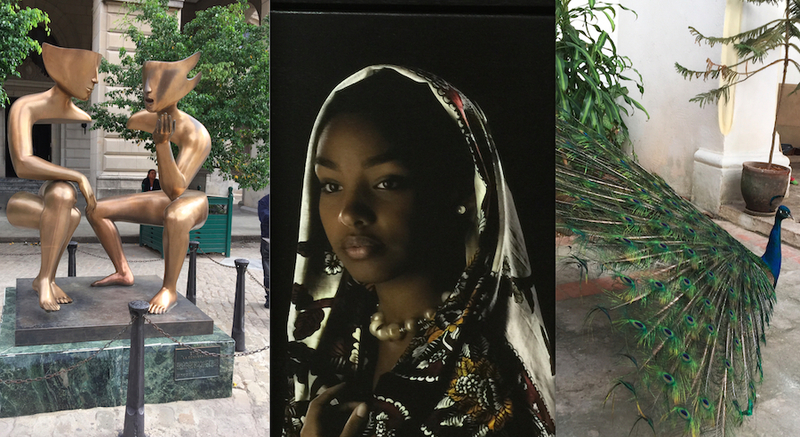 It seemed to be incorporated in the fabric of the lives of those in Havana. And at Fabricca Dell Artes, a total multi-media happening that included four floors of paintings, sculptures, music rooms, dance halls, restaurants and theaters, young people stood in line for up to two hours to be admitted. I don't think I have seen anything quite like that before. Adding to this experience was our Guide, an educated young man who spoke English perfectly, and was as well-versed about literature as he was about the history of his country. Before I left home, I was told not to have high expectations for my hotel, but my room at Parque Central was very clean and comfortable with dark wood furniture, a mini bar and a large bathroom. For sure there were inconveniences. As I travelled away from the city to visit the Ernest Hemingway House I became aware of scarcity and rationed products, so I tried not to be wasteful. And I discovered that even items like toilet paper and water were precious and not to be taken for granted. You hear talk about the colonial architecture, and it is breathtakingly beautiful. There is no getting around the fact, however, that the majority of buildings are crumbling and in need of repair. Yet they still teemed with life and art, and some were converted to paladars, restaurants that housed both eateries on one level, and residences on another. But the most beautiful part of the trip for me were the Cuban people. I loved their spirit and their friendliness and resilience and it made the trip all worthwhile. I remembered that Monica Castillo, a Cuban-American film critic, had written an essay about returning to Cuba for the first time to attend a film festival. So I want to present her article once more. It means even more to me now that I have some of those touchstones in my own memory bank. Below is Monica Castillo's full article, originally published on December 11th, 2015.